Gabriel McWhirter specializes in representing cities and special districts in litigation challenging local taxes, fees, assessments, and utility rates, including lawsuits brought under Propositions 26, 62, and 218. He has significant experience with the unique issues that arise in class action refund cases, an area of growing exposure for cities. Gabriel’s practice extends to other aspects of local government law as well, including land use, public contracts, and constitutional issues. He has successfully defended cities and special districts in a variety of lawsuits, including a First Amendment challenge to local regulation of a nightclub; a bid protest to a public contract funded by state water bonds; and a CEQA and due process challenge to a local water improvement project. Gabriel received his undergraduate degree from the University of California, Berkeley and his J.D. from UC Hastings College of the Law. 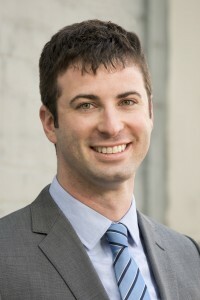 Prior to joining Jarvis Fay, he worked as a law clerk in the Complex Litigation Department of the San Francisco Superior Court for two years. He is a regular reviewer for the Finance and Economic Development chapter of the Municipal Law Handbook and a contributor to the League of California Cities’ Proposition 26 and 218 Implementation Guide. “Business License Tax on Internet Companies; Transient Occupancy Tax from Online Hotel Brokers and VRBO-type Web-Based Rentals,” League of California Cities, City Attorneys’ Spring Conference, May 2014.